After my little pink experiment, I wanted to put on something different. 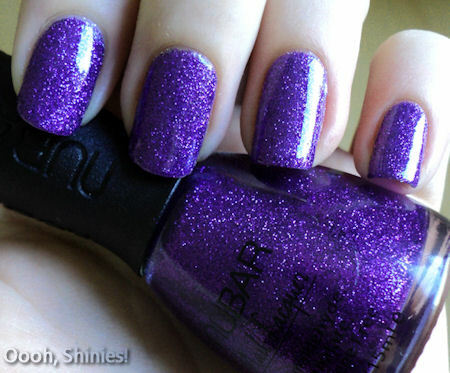 My untried Nubar Violet Sparkle was screaming to me from a nailwheel "pick me, pick me! ", and so I did. This polish is a clear base packed with very pretty purple/pink glitter. 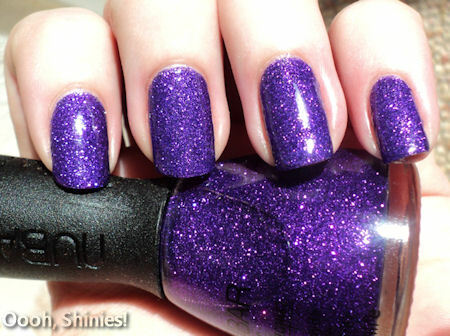 Because it's made of glitter, it dries fast, but it also dries up a bit bumpy and not so shiny. 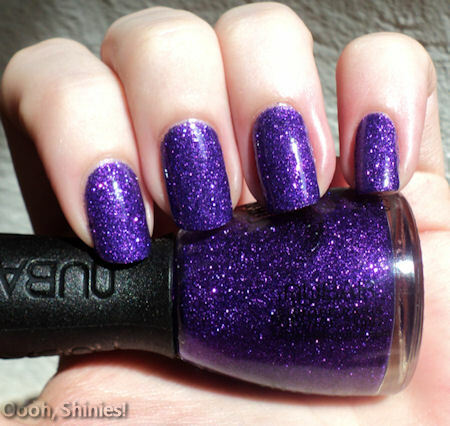 So I used 3 coats and then a lot of top coat, but I don't like it so much when polish is like a thick layer on your nails.